Tai Cheong Bakery has landed in Singapore! They have opened a permanent store at Takashimaya’s food hall that opened on 1 July 2016. They had previously set up a temporary pop-up store in May 2016 that was incredibly popular, and we’re glad that they have followed in the footsteps of Jenny Bakery to set up a permanent store in Singapore. 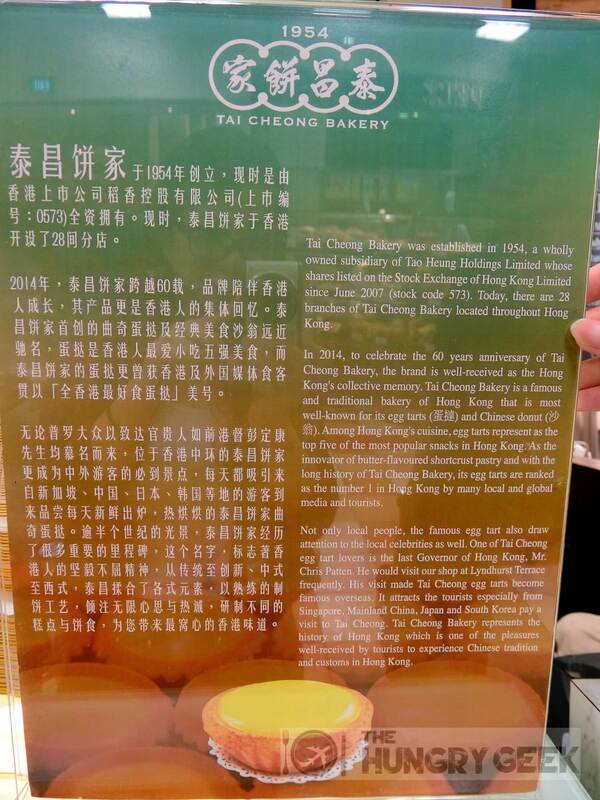 For the uninitiated, Tai Cheong Bakery Singapore is from Hong Kong, where the Tai Cheong Bakery over there is super famous for their egg tarts. Don’t forget to check out our review of Tai Cheong Bakery’s main outlet in Hong Kong! Their grand opening on 1 July 2016 was announced on their Facebook page at 11:11am – by the evening, there were hour-long queues forming. 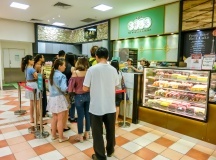 As typical kiasu Singaporeans, we decided to go down the following day (a Saturday morning), and we intended to beat the queue by going down to Takashimaya at 9:30am, just before Tai Cheong Bakery Singapore opening at 10am. We’re glad to say that we struck gold – there was no queue outside the food hall’s shuttered entrance, and we were the first to rush in at 10am! A moderate queue formed immediately. Here’s a tip – to avoid the queues, go down shortly before they open. What’s our verdict? 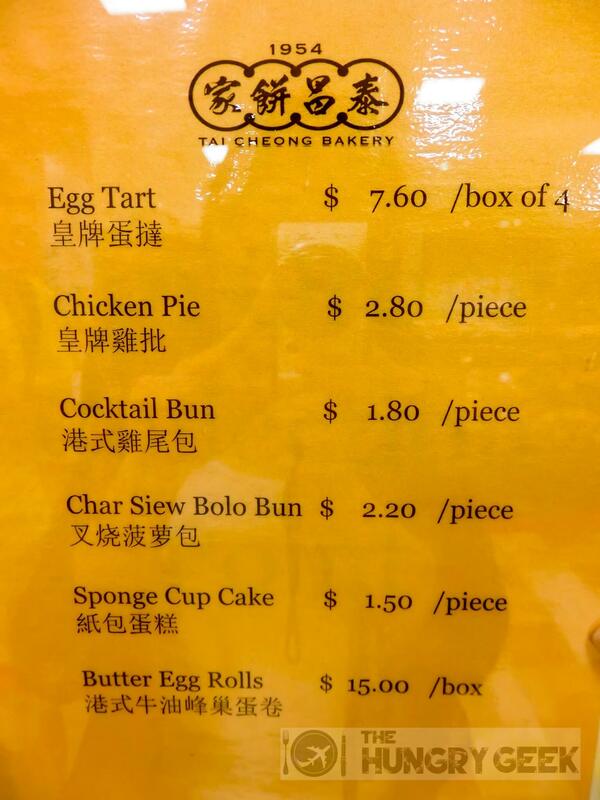 Back in December last year we gave Tai Cheong Bakery Hong Kong a cool 4.2/5. Usually the main outlet owner will hold a little back lest their secrets get stolen by an unscrupulous overseas franchisee. In this instance we’re glad to say that the recipe brought in by the Singapore franchise is top notch as well. When heated in an oven at home to the usual optimum piping hot temperature, these egg tarts are really delicious! The fragrance from the crumbly-type crusts on these egg tarts is outstanding and it goes really well with the smooth custard. We did find the pastry a bit sweeter than expected with some variations in the crust colour, but it is delicious nonetheless. Back in Hong Kong when we tried these babies back at our hotel we were astounded and immediately wanted to go back to the shop for more. 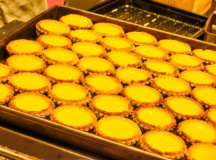 When Tai Cheong Bakery Singapore opened their temporary pop-up store in May 2016, we found that the egg tarts then tasted a bit pedestrian when we ate them on the spot, but tasted delicious when reheated at home. We are glad to say that Tai Cheong Bakery Singapore has remedied this problem – the egg tarts from their new permanent store is served piping hot and tastes perfectly delicious when eaten on the spot! We will give these solid rating of 4.1/5. Take some home to eat and if you know how to reheat your egg tarts well, they will taste delicious at home too. You can get these at S$7.60 for a box of 4 egg tarts. When we heard that Tai Cheong Bakery Singapore had chicken pie on the menu, we were thrown back to our memories from Kam Fung in Hong Kong, where we had one of the most divine chicken pies ever. 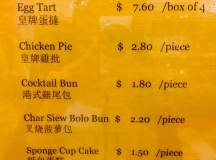 Is there something about Hong Kong and chicken pies? We’re pleased to say that this is a great effort from the guys at Tai Cheong Bakery Singapore – the crust is nice and crumbly, and the chicken is flavourful and tender. My mum who is the chicken pie expert remarked that there is some similarities between this chicken pie and the one from Prima Deli. We rate this 4/5, and you can get this at S$2.80 per piece. They make all their egg tarts on the spot in a pretty small space! We are quite impressed seeing them at work. We think that there are some small subtle differences with the Tai Cheong egg tarts in Hong Kong – while I found the Tai Cheong egg tarts in Hong Kong better, my mum preferred the ones from the Singapore store. YMMV, but this is still a must-try if you are a fan of egg tarts.